On November 10th, 2018 in Irvine, California furs came together in support of one of their own in his fight against amyotrophic lateral sclerosis, frequently given the acronym ALS. They walked for a mile at Orange County Great Park to raise awareness and money for the foundation combating this debilitating disease. With Tony “Dogbomb” Barrett leading the team and matching donations, they successfully raised their goal of $34,000. 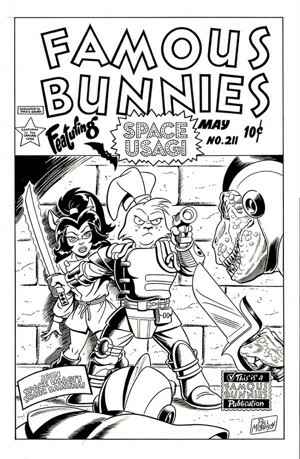 With all of the attention that Rocket Raccoon and his fellow Guardians of the Galaxy have been getting, some attention has also begun to shine on a nearly forgotten name: Bill Mantlo. Back in 1976, Bill teamed up with Keith Giffen to introduce the original Rocket Raccoon in the pages of Marvel Preview #7. Not long after Rocket would team up with the Incredible Hulk, of all things, before moving on to his own comic book miniseries. In 1992, Bill Mantlo was struck by a car while he was out roller-blading, and he remained in a coma for many years after the accident. He has since regained consciousness, but he suffered brain damage from the accident and now requires full-time medical attention. Many Marvel fans and comic book professionals are urging Marvel (and Disney, Marvel’s parent company now) to contribute part of the likely sky-high profits from the upcoming Guardians of the Galaxy movie towards Bill’s medical needs. Comic book writer Greg Pak has a web-site devoted to the cause of raising money for Bill’s care. Meanwhile, if you haven’t seen it: Marvel has released a new mini-preview of Guardians that includes a bit of Rocket’s voice, Bradley Cooper. It’s interesting to hear the film’s director James Gunn describe Rocket as “the heart of the movie in a lot of ways”. As reported a few months ago, Sharon Sakai has been battling illness. The Cartoon Arts Professional Society (CAPS) have been fundraising for Sharon & Stan Sakai (creator of Usagi Yojimbo) to help with medical bills. Dark Horse will be publishing a hardcover benefit book The Sakai Project: Artists Celebrate Thirty Years of "Usagi Yojimbo" in association with CAPS. On January 31 the participation of 47 creators was announced with a call for art submissions from industry professionals with a deadline of February 20. The Sakai Project will be released on July 23. 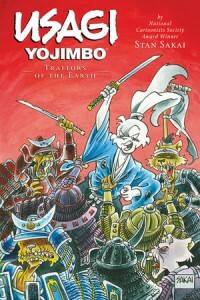 Stan Sakai is world-famous as the creator, writer, and artist of Usagi Yojimbo, a multiple-award-winning funny animal comic. He has given a lot to our furry fan community, not only from his creation but from his appearances at furry conventions around the country. Now, Stan needs some real help. His wife Sharon has been battling cancer, and she has been in and out of hospitals for some time — basically needing 24-hour care even when she is at home. The couple have insurance, but the bills have been piling up far past what their insurance will cover. The Cartoon Arts Professional Society have set up a site asking for donations to help Stan and Sharon cover their medical expenses. Please visit and contribute this holiday season if you can. Give back to someone who’s given us great characters and great art! 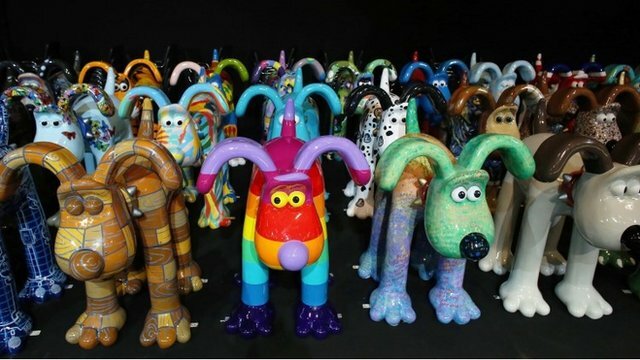 Between July 1 and September 8, the Gromit Unleashed exhibition saw the city of Bristol play host to several dozen statues of Gromit, the anthropomorphic dog from Wallace and Gromit. On 3 October, the statues were auctioned to raise money for an expansion of Bristol Royal Hospital for Children. One lot, Gromit Lightyear, designed by animation studio Pixar and depicting Gromit as Buzz Lightyear from the Toy Story franchise, sold for £65,000. The eighty-one statues, depicting Gromit in a variety of styles, were designed by several artists, including Nick Park (creator of Wallace and Gromit), and Simon Tofield (animator of Simon's Cat). In total, £2.3 million was raised for the hospital. Nick Park said he was "stunned" by how successful the auction was. Retromania is a Let's Play series by 2 the Ranting Gryphon & DJ EAR, focusing on retro-style games. It's one of several new shows being produced for "RGStv", which is intended to be a 24/7 Internet TV station for furries. On November 2, Retromania will go live for a full day of gaming & comedy as part of the Extra Life worldwide fund raising event to raise money for children with terminal illnesses. Hosts are asking for a donation of $25 each (a dollar per hour of gaming) to reach their target goal of $1,000. Funds raised are to go directly to The Childrens Hospital Colorado. The event starts at 8am and will be streamed live on RGStv until 9am the next morning. Viewers are encouraged to suggest games, spread the word, and listen in on November 2. 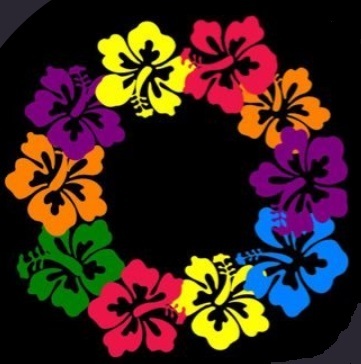 You can watch Retromania on the RantingGryphonStudio YouTube channel. Flayrah reported in May on Misora Rae's loss of her home in the Moore, OK tornado. In subsequent days, furs have sent an outpouring of support, helping her with supplies and funds. 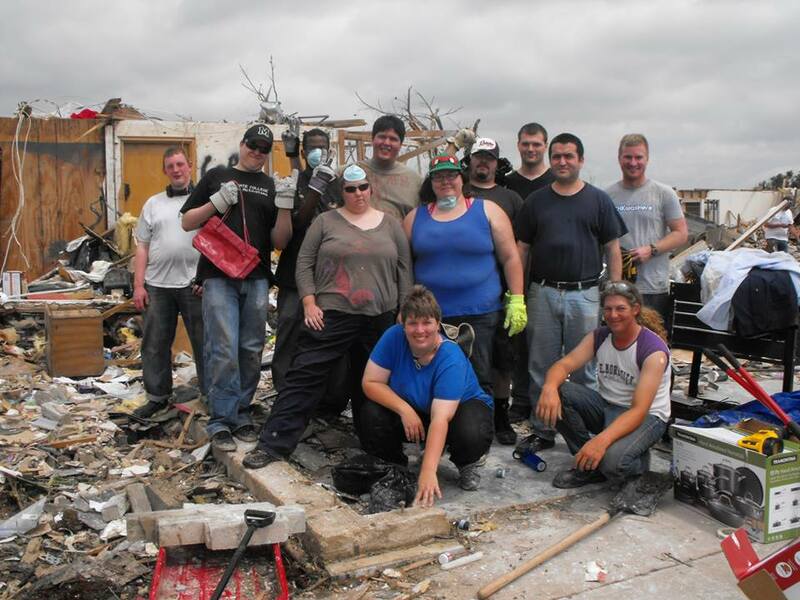 They gathered for the clean-up, helping her sort through the rubble of what was once her home; she found her fursuit, which had survived the storm but was covered in insulation, and was getting a musty odor from the rains that came with the tornado. The team also found one of her cats, crushed to death by a fallen wall. The stress of this is a hardening factor for Misora. 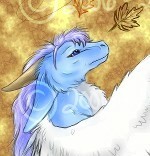 Support for Misora and her mother continues, with several Furry conventions joining together to raise funds for her family. Central Plains Fur Con, Fangcon, F3con and Wild Nights will be auctioning supersponsor and higher levels of membership, with proceeds going to Misora. The first is for a membership for CPFC, to be held October 2013 in Wichita, Kansas with Rukis as the guest of honor. Other auctions will be posted after the initial auction concludes. Misora Rae lost her home in the recent Oklahoma tornado. It was one of many structures destroyed in the EF5 storm. She was fortunate to be at work with her mother at the Oklahoma City Zoo. Many local furs are gathering near a local Walmart to assist Misora in removal of what can be salvaged from the remains of the house. If you are in the area and can assist, please contact Holly Fox who is coming up from Lawton to help on Friday and Saturday (May 24-25). Donations of items such as dog and cat food would be appreciated; most of her pets were found. An auction for a partial fursuit is also being held in her benefit. Contributions can also be made directly to misorarae @ yahoo.com via PayPal. Furry fans have raised money for charity for over 15 years, totalling $1 million since the end of 2000. Donations fell in 2009, but rebounded to $243,000 in 2012 – 59% more than 2011. We were glad to make this an incredible year for our charity, Felines & Canines, Inc. They received a total of $8,500 including cash and checks in their donation jars (including $1,000 from a single donor! ), the Charity Auction, and 2 & Kage's Saturday Performance. An additional $1,950 was raised by the Charity Poker Tournament. To this, Midwest FurFest was pleased to add an additional donation of $30,000, meaning that Felines & Canines took home a little over $40,500! Felines & Canines, mired in a $100k construction debt, has since dedicated a room to MFF. Want to know who gave what last year, and which were the most charitable events? Read on! Furry advice columnist Grubbs Grizzly has incorporated the American Furry Association, which he hopes will become a leading non-profit in support of the furry community. […] to serve as an educational resource and think tank for the furry community, with the goal of promoting furry arts and furry businesses, fostering better communication among furries in the United States, and dispelling misinformation about the furry fandom both within and outside its membership. 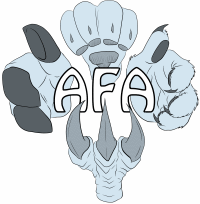 Grubbs says the AFA is not restricted to policy, but may provide services such as a membership directory, unique-named fursona registration and business yellow pages, awards, convention and business organization services (including grants and job boards), lists of fandom resources/news, member discounts, group insurance, and media relations. Hundreds of furs worldwide have opened up their wallets, giving over $20,000 to a Pittsburgh man who has sold subs, wraps and t-shirts to Anthrocon attendees in recent years. Business owner Fernando Decarvalho faces financial ruin; his eatery, Fernando's Cafe, was forced to announce its impending closure last month. Fans hope their money will keep it open until Anthrocon 2012, and beyond. The donations are to be given to Fernando at a planned meetup today (April 21) at his cafe. Over 100 have signed up to eat at the restaurant; several plan to attend in fursuit. Update: $21,000 was handed over by "Anthrocons"; WTAE coverage - event stream [Dobie] (donations handed over at 33:33). Fernando expressed his thanks, while noting that his landlord has another potential renter in negotiation for his space after June. The group is looking for G–PG short stories of 5,000–8,000 words under the theme "Steam Punk, Weird Science/mad science". Draft submissions are due by February 2. Proceeds are to go to the upcoming convention's charity. Contributing authors will receive a copy of the book. 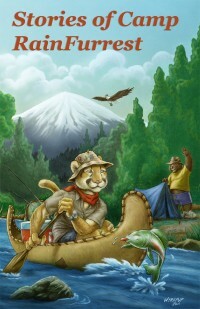 2011's entries were collected in Stories of Camp Rainfurrest, with stories by Gene Armstrong, Sorin, Garret Biggerstaff, Daniel and Mary E. Lowd, Ryan Hickey, Kandrel, May Kay Biggerstaff, James Stringer and Trey Jackson, illustrations by Balto and Sarah Alderate, and a cover by WerePuppy.